Is there a project you have been asked to take care of that has lingered for weeks and you pray everyday your boss will not ask you about? 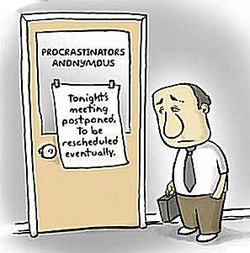 Is there colleague you need to talk to and the meeting was delayed by you for a day...which turned to a week...then a month? Are you finding yourself having to explain constantly why a, b, and or c has not been completed? Then this topic is for you. As organizations have flattened and gone more “casual/informal” with people from all walks of life and disciplines working together under one roof, there are fewer norms as to what constitutes proper business behavior. Research has shown that most acts of workplace violence originate with uncivil behavior. A modern work place is a hive of activity with employees often working under a great deal of pressure. Therefore it’s hardly surprising that tempers can often get frayed yet, whilst that might be understandable in certain instances, it should never be thought of as acceptable behavior. For instance: Gossiping/ Nastiness to your colleagues, subordinates or managers/ rude disposition or behavior/ Theft of other people’s food /Reading of colleagues emails/ Engaging in nasty emails, phone calls, and or shouting matches are never acceptable and can cause you to lose respect, suffer serious stress or cause others around you unnecessary stress and tension and ultimately, will cost you your job. 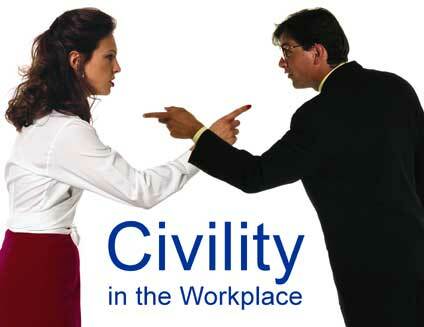 If people are not civil to each other in the workplace, over time, not only will this have a detrimental effect on performance, it may also over time corrupt the culture & relationships within the office causing unnecessary tension, friction, anger, and resentment. · Before acting, consider the impact of your words and actions on others. · Create an inclusive work environment. Only by recognizing and respecting individual differences and qualities can you fully realize the potential you find around you. · Self-monitor the respect that you display in all areas of your communications, including verbal, body language, and listening. 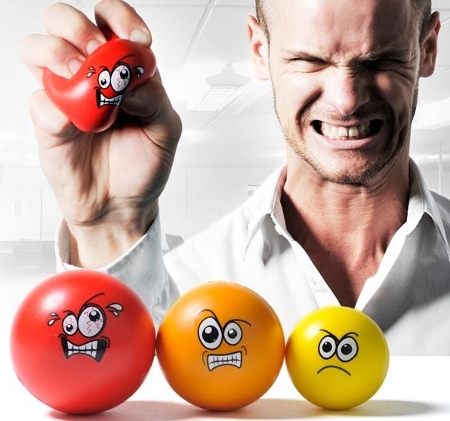 · Understand your triggers or “hot buttons.” Knowing what makes you angry and frustrated enables you to manage your reactions and respond in a more appropriate manner. · Take responsibility for your actions and practice self-restraint and anger management skills in responding to potential conflicts. · Adopt a positive and solution-driven approach in resolving conflicts. · Rely on facts rather than assumptions. Gather relevant facts, especially before acting on assumptions that can damage relationships. · View today’s difficult situations from a broader (big picture) and more realistic perspective by considering what they mean in the overall scheme of things. · Each one influence one” by becoming a bridge builder and role model for civility and respect. Act in a manner whereby you respect yourself, demonstrate respect for others, and take advantage of every opportunity to be proactive in promoting civility and respect in your workplace. There can be numerous reasons connected to a lack of civility in the workplace. Long hours, unmanageable deadlines, added responsibilities placed upon us and longer and more stressful commutes to and from work are just some of the reasons we can get uptight at work. However, there never is nor will there ever be any excuse great enough to excuse prolonged uncivilized behavior in the office. Uncivilized behavior should always be checked by all of us. 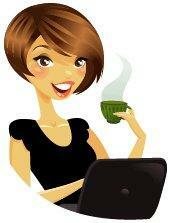 We spend most of our waking hours in the office and these hours should be as pleasant as possible. Remember the golden rule: “if you have nothing to say, DON’T say anything at all…!” Respect people’s boundaries at work; discuss only work related matters if you have not established clear guidelines for friendships at work, and even between colleagues themselves, simply saying ‘Thank You’ or “I really appreciate you doing that for me” can go a long way to easing tensions at work. Sometimes just our perception of a situation causes anger to ignite and sometimes the threat may be real. Whatever the case, anger isn't the problem. The problem with anger is that many of us don't learn to manage anger effectively. work place bullying, repressed rage, workplace violence, dififult bosses and colleagues and irate customers are a few of the external examples of the results of poor anger management. Moreover, anger can lead to physical problems when not properly managed. 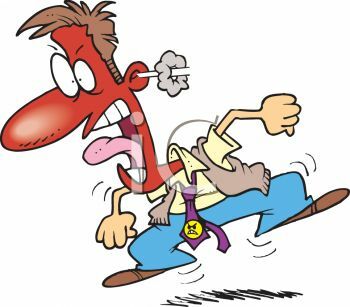 Long-term anger has been linked to chronic headaches, sleep disorders, digestive problems, high blood pressure, and even heart attacks. Anger is usually "triggered" by an occurrence, like stubbing your toe on an inanimate object or by something that someone says. Next, you think something like "what did I do to deserve that". However, at this point, emotion takes over your mind and the "pain" of the situation leads you to believe the answer to your question is "Nothing. I didn't deserve that at all!" Feelings of hurt and betrayal further try to override logic and you're ready to act on your anger by either suppressing it or expressing it. Suppressing your anger may lead you to believe you have it under control. However, suppressing anger doesn't solve your problem and is a dangerous type of anger management. Suppressed anger stays with you over time and can lead to mental health problems like depression, and physical problems like "stress" headaches and high blood pressure. Additionally, continually suppressing your anger can curtail your ability to act in the face of a real threat to your well-being. Anger needs to be expressed. Yet, aggressive displays of anger can result in violent eruptions that further hurt you socially, mentally, and physically. The goal of anger management is to help you find healthy ways to express your anger and resolve the problems that ignite it. Anger management is also very important in the office where you must do everything not to lose face at work, jeopordize your career, and handle situations where you anger MUST be supressed and expressed in a positive manner. Breath Deep. Anger often begins when we feel weaker than we really are. Molehills loom like mountains. Taking a few deep breaths calms you, makes you feel stronger both mentally and physically, and you can cut those mountains down to size! Count to ten. Sounds simple, but counting to ten is an anger management tip that has worked for centuries! The Roman poet Horace (65 - 8 BCE) said, "When angry, count ten before you speak; if very angry, one hundred." Counting to ten (or one hundred) helps you to step back from the situation, buys time for you to examine the problem and decide on an effective, rational way to express your anger. Give yourself a break. It's easier to think when you're calm than when you're agitated. Leave the room, take a walk, 'whistle a happy tune'. Then come back to the problem, examine it, and solve it, and if necessary, take a break from the person you're angry with until your frustrations subside a bit. Get some exercise. Physical activity can provide an outlet for your emotions, especially if you're about to erupt. Go for a brisk walk or walk up and down a flight of stairs if you have one in the office, the exercise will distract you and help you clear your head. Think carefully before you say anything. Otherwise, you're likely to say something you'll regret. It can be helpful to write down what you want to say so that you can stick to the issues. When you're angry, it's easy to get sidetracked. Identify solutions to the situation. Instead of focusing on what made you mad, work with the person who angered you to resolve the issue at hand. Use 'I' statements when describing the problem. This will help you to avoid criticizing or placing blame, which can make the other person angry or resentful — and increase tension. For instance, say, "I'm upset you didn't help with the housework this evening," instead of, "You should have helped with the housework." Don't hold a grudge. If you can forgive the other person, it will help you both. It's unrealistic to expect everyone to behave exactly as you want. Use humor to release tensions. Lightening up can help diffuse tension. Don't use sarcasm, though — it's can hurt feelings and make things worse. Practice relaxation skills. Learning skills to relax and de-stress can also help control your temper when it may flare up. Practice deep-breathing exercises, visualize a relaxing scene, or repeat a calming word or phrase to yourself, such as "Take it easy." Other proven ways to ease anger include listening to music and writing in a journal. Even if your office has a no music policy, have a pair of earphones and sneak outside when you feel yourself flaring up. Some music and deep breaths will relax you in no time. While the tips above can help you keep from blowing up, the best anger management strategy is to begin anger management when you're not inflated!